Sarah believes in weaving together all aspects of your life to help you achieve health, which means each piece of the puzzle, the nutrition, the herbs, and the lifestyle, are equally important. However, if you are interested in only one aspect, I am happy to work with you in that way as well. Medicinally, an herb is any plant part or plant used for its therapeutic value. Yet, many of the world’s herbal traditions also include mineral and animal substances as “herbal medicines”?. Herbal medicine is the art and science of using herbs for promoting health and preventing and treating illness. It has persisted as the world’s primary form of medicine since the beginning of time, with a written history more than 5000 years old. While the use of herbs in America has been overshadowed by dependence on modern medications the last 100 years, 75% of the world’s population still rely primarily upon traditional healing practices, most of which is herbal medicine. Most pharmaceutical drugs are single chemical entities that are highly refined and purified and are often synthesized. In 1987 about 85% of modern drugs were originally derived from plants. Currently, only about 15% of drugs are derived from plants. In contrast, herbal medicines are prepared from living or dried plants and contain hundreds to thousands of interrelated compounds. Science is beginning to demonstrate that the safety and effectiveness of herbs is often related to the synergy of its many constituents. 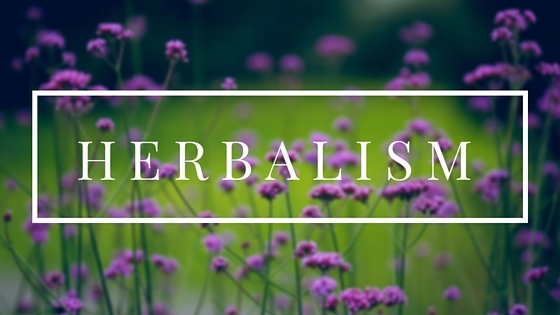 The primary focus of the herbalist is to treat people as individuals irrespective of the disease or condition they have and to stimulate their innate healing power through the use of such interventions as herbs, diet and lifestyle. The primary focus of conventional physicians is to attack diseases using strong chemicals that are difficult for the body to process, or through the removal of organs. Not only does this ignore the unique makeup of the individual, but many patients under conventional care suffer from side effects that are as bad as the condition being treated. The philosophical difference between herbalists and conventional physicians has profound significance. Herbalists are people who dedicate their lives to working with medicinal plants. They include native healers, scientists, naturopaths, holistic medical doctors, researchers, writers, herbal pharmacists, medicine makers, wild crafters, harvesters and herbal farmers to name a few. While herbalists are quite varied, the common love and respect for life, especially the relationship between plants and humans, unites them. Persons specializing in the therapeutic use of plants may be medical herbalists, traditional herbalists, acupuncturists, midwives, naturopathic physicians, or even one’s own grandmother. HOW LONG DOES IT TAKE FOR HEBRS TO BE EFFECTIVE? Herbalists can practice either as primary health care providers or adjunctive health care consultants. Most visits to an herbalist begin with a consultation about your past and current health history, your dietary and lifestyle practices, or other factors related to your health issue. The herbalist, with your involvement, should develop an integrated herbal program that addresses your specific health needs and concerns. You should be treated as a whole person, not as a disease. Various herbal traditions have developed worldwide. In the West there are a number of different traditions which include folkloric herbal practices, clinical western herbal medicine, naturopathic medicine, practitioners of Ayurveda or Chinese medicine and numerous Native American herbal traditions. Some practitioners use highly developed systems of diagnosis and treatment while others base their treatments on individual knowledge and experience. Every person must find the herbal practitioner that is most appropriate for them. Traditional Western, or Community Herbalists base their work on traditional folk medicine or indications of historical uses of herbs and modern scientific information. Backgrounds may include folk, Native American, eclectic, wise woman, earth-centered or other traditions. They may be trained through traditional or non-traditional methods such as apprenticeships, schools or self-study. Medical or Clinical Herbalists are present in the United States and in most of the nations in the European Union. Professional education is offered in the USA and throughout Europe in a variety of formats. Most programs cover the traditional uses of herbs, the basic medical sciences of biochemistry, nutrition and anatomy as well as diagnosis and prescription. The most common titles given to medical herbalists from the Western world include: RH (AHG), Registered Herbalist, American Herbalists Guild; MCPP Member, College of Practitioners of Phytotherapy; FNIMH Fellow, National Institute of Medical Herbalists; MNIMH Member, National Institute of Medical Herbalists; FNHAA Fellow, National Herbalists Association of Australia. Traditional Chinese Medicine (TCM), the traditional medicine system of China, is the second-largest medical system in the world after Western medicine. TCM doctors go through extensive training in theory, practice, herbal therapy and acupuncture. Quite a few states now license acupuncturists, and many consider them primary health care providers. Their titles may include L.Ac. Licensed Acupuncturist; OMD Doctor of Oriental Medicine; or Dip. C.H. (NCCA) Diplomat of Chinese Herbology from the National Commission for the Certification of Acupuncturists. Traditional Ayurvedic Medicine, (Ayurveda), the traditional medical system of India and Nepal, is the third largest herbal medicine system in the world today. Ayurvedic doctors treat more than 80 percent of the people on the Indian subcontinent and go through extensive training that can last as long as 12 years. Some use the title M.D. (Ayur.) when they come to English speaking countries, while those who have passed the accreditation process of the American Ayurvedic Association are given the title D.Av. Diplomate in Ayurvedic Health Sciences. Naturopathic Medicine integrates traditional natural therapeutics with modern scientific medical diagnoses and western medical standards of care. Most licensed naturopathic physicians, (N.D.) have received full medical training at one of four fully accredited medical universities in North America. There are currently 13 states that license the practice of naturopathic medicine. WHAT IS AN HERBAL CONSULTATION LIKE? The initial consultation will be anywhere from an hour to two hours, during which time we will go in-depth into your health history so that we can gain a clear picture of where you are in your health journey. We will discuss the goals you wish to achieve in terms of your health, and develop a plan on how to reach them. You will always leave the consult with some kind of recommendation, whether it is lifestyle, herbal, nutritional, or a combination of the three. Many times you will leave with a customized herbal formula and/or nutritional supplements that are right for your situation. If desired, you may also leave with a flower essence formula designed for your emotional support. The follow-up consultations are usually shorter, but this depends on the severity of your issues and your own personal needs. True health is not a one-time fix. It is something that must be worked on, especially when you are trying to change life-long habits. Because of this, we like to see our clients several times so that we can make sure you are staying on the path you chart for yourself. There is no exact science to this method of healing, it all depends on you and how much you are willing to work on your own healing. Herbal remedies are extremely effective and naturally ease your body into a state of total holistic health and wellness. to maximize one’s health potential. Herbs are also used for the symptomatic relief of minor ailments.